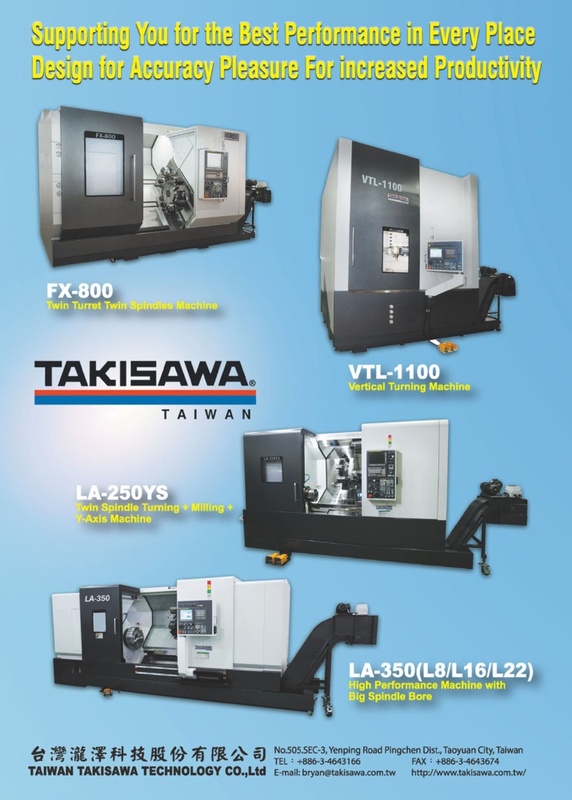 Initially a maker of engine lathes, Taiwan Takisawa has established its technical capabilities through cooperation with Takisawa Machinery Company of Japan. This joint effort has laid a solid foundation for the highly skilled professionals as Taiwan Takisawa, who have accumulated years of experience, and can apply world-class manufacturing expertise to achieve the superior product quality that has been acclaimed in the global market. Taiwan Takisawa Machinery Co., Ltd. Is founded with an initial capital of NT$12 million. Receive Golden Dragon Award in machinery quality at the 1st National Machinery Competition.Authentication Symbol certified by National Bureau of Standards, Ministry of Economic Affairs.